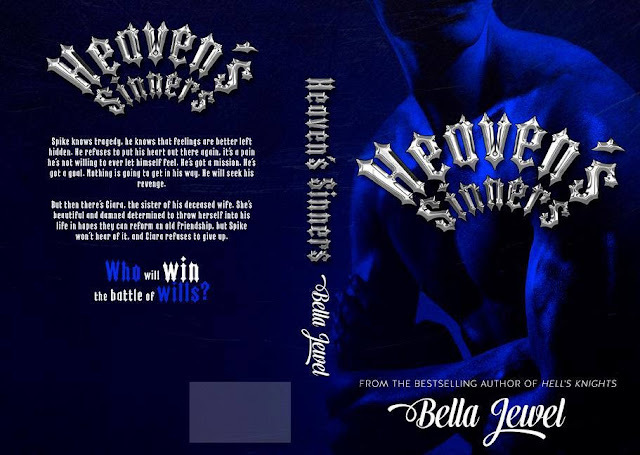 B's Beauty and Books: Heaven's Sinners (The MC Sinners #2) Cover Reveal and Giveaway! Heaven's Sinners (The MC Sinners #2) Cover Reveal and Giveaway! Spike knows tragedy, he knows that feelings are better left hidden. He refuses to put his heart out there again, it's a pain he's not willing to ever let himself feel. He's got a mission. He's got a goal. Nothing is going to get in his way. He will seek his revenge. But then there's Ciara, the sister of his deceased wife. She's beautiful and damned determined to throw herself into his life in hopes they can reform an old friendship, but Spike won't hear of it, and Ciara refuses to give up. Who will win the battle of wills? He leans down, and his lips are on mine before I can protest. My mouth opens as a strangled gasp leaves it. My body flinches, and a flood of warmth travels through my veins, making my entire body feel like it’s on fire. I shudder as he presses his mouth harder against mine. His lips are soft and full, his body large and firm as he presses himself against me. My hands are limp beside me, I can’t move, I’m like a rag doll in his arms. His tongue finds mine, and fireworks explode in my head, I’m almost sure I see stars. Then suddenly, my hands come to life and I thrust them into his hair, tugging him closer. My mouth is devouring his, my tongue dancing with his in hungry, angry strokes. He growls and presses a hand to my lower back, pressing my body up against his hard, aching erection. I untangle one of my hands from his hair, and run it down his firm back. I slip it under his shirt, and feel his hot, hard skin. 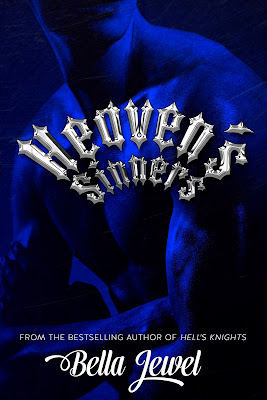 It’s taut, and his muscles bunch as I slide my fingers up, feeling every inch of his muscled flesh. Then his mouth is off mine, and I’m stumbling backwards. He’s reeling backwards just as quickly, his eyes confused. He’s panting so heavily I can see his chest rising and falling rapidly. His eyes are wild, like he’s just made a huge mistake. I press my fingers to my swollen lips, did that just happen? Did Spike just…kiss me? I've never been kissed like that in my entire life, not once. That kiss, it was a kiss of passion. It was real, beautiful, gut wrenching, soul shattering…but mostly, it was mind blowing. What did it mean?